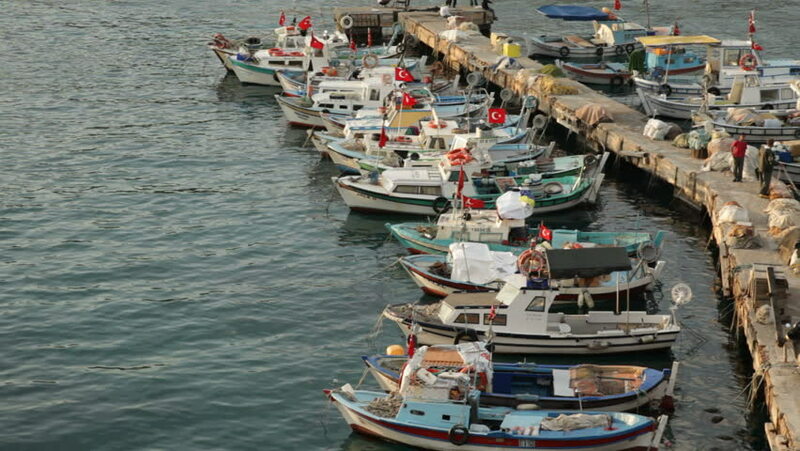 Small fishing boats with Turkish flags in port. hd00:20MUTTOM, TAMIL NADU/INDIA - CIRCA JUNE 2012: Indian fishing boats moored in fishing village. Fishing employs over 14 million people in India. 4k00:15HONG KONG - OCT 27, 2017: Boats and yachts swaying on waves. Floating village. Historical place and popular touristic landmark. Aberdeen harbor, Hong Kong. hd00:07BAGAN, MYANMAR, MAY 17 2018, The boat arrives to the shore where many ships are moored, the Iravadi river.